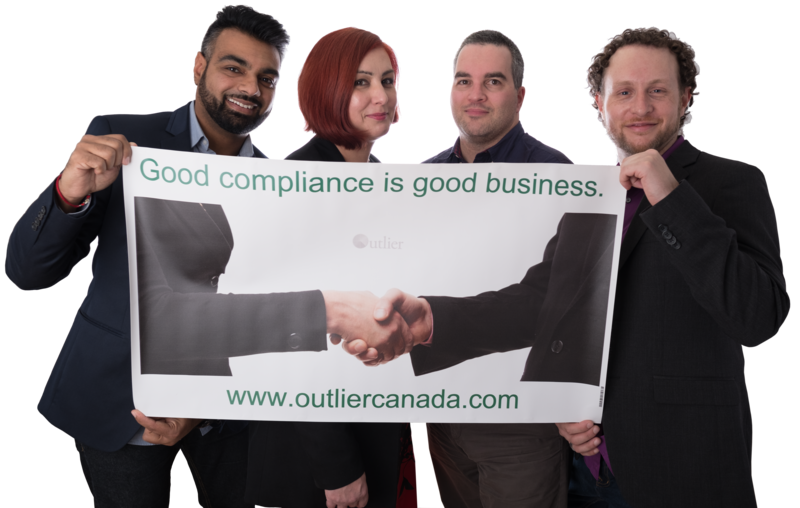 Outlier Solutions Inc. (Outlier) is hiring for the position of Admin Assistant, Office Co-ordinator & Jack and/or Jill of All Trades. While Outlier has been operating successfully for five years, we are still in many ways a start-up. As we grow, we need to add a team member to get/keep us organized. We’re experts at documenting processes for our clients, but we haven’t always been great at documenting our own processes. This puts us at risk of missing things as we grow – which is an ironic problem for a risk management company, isn’t it? This will begin as a part-time position with the potential to grow into a full-time position. Hours and working location are flexible (meaning that if you need to pick up the kids, go to class, or just flat out need to take a day to get things done you’ll be able to schedule around it). Our virtual office is based in Toronto and our core team resides in Hamilton, Oakville and Markham. We sometimes meet in Hamilton, and this is likely to be the most convenient place for our ideal candidate to be located. We are looking for someone that reasonably close to this geographic area. A driver’s license is not required but is an asset (for the right candidate, we’d consider covering the cost of getting licensed, but it does mean that we’ll also send you out on missions that involve driving). In terms of culture, we’re super geeky. We don’t expect you to know everything about compliance, AML, etc…. but it’s helpful if you think this stuff is interesting because we talk about it. A lot. Proofread, edit and format reports/documents to ensure accuracy and brand coherence. Arrange and coordinate travel logistics. Location: Position is home based with some in-office/in-person meeting requirements (including in-person training). Please upload a CV and/or resume with a cover letter telling us, in your own words, why you think there is a good fit here. All submissions received by close of business (5 pm ET) on September 19th will be considered. While we’re grateful for all interest, only candidates selected for an interview will be contacted following submissions.